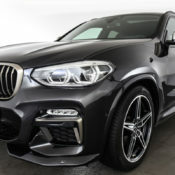 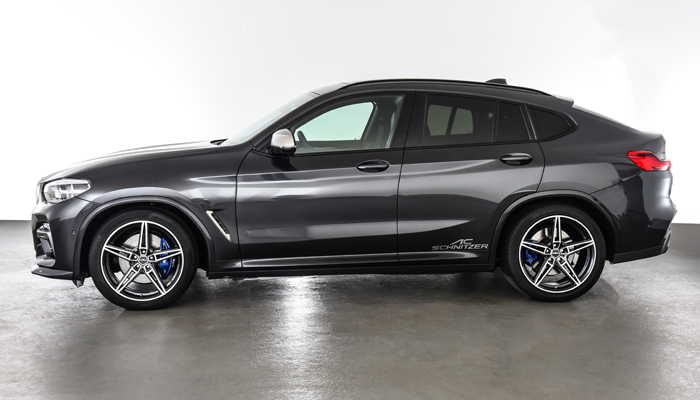 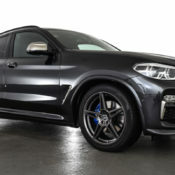 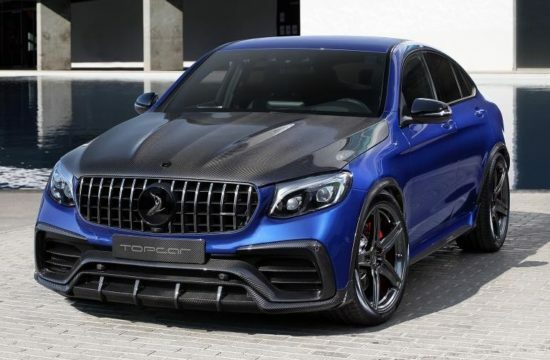 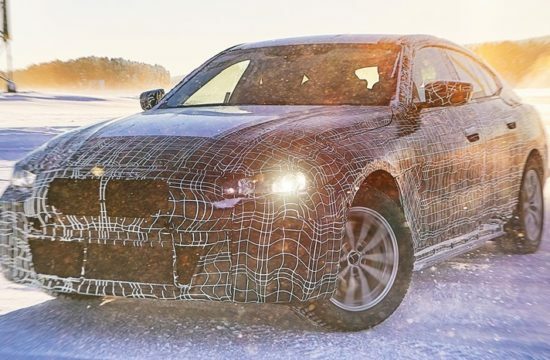 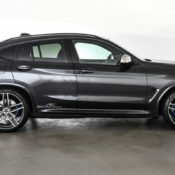 Famed BMW tuner AC Schnitzer has just released its first package for the new 2019 BMW X4. 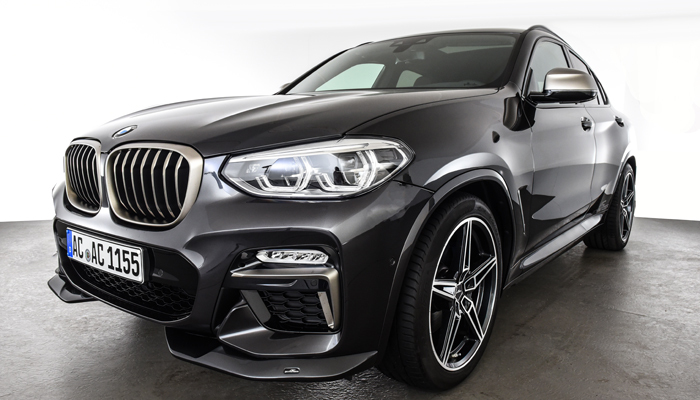 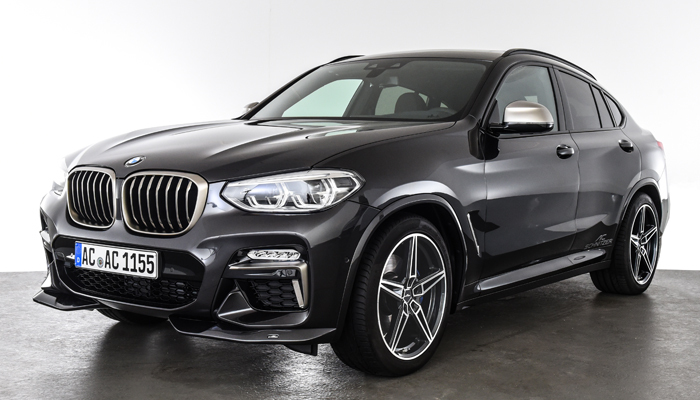 A light aesthetic treatment, the new AC Schnitzer BMW X4 improves the looks, and to some extent handling, of the Sport Activity Coupe by adding a number of strategic components. 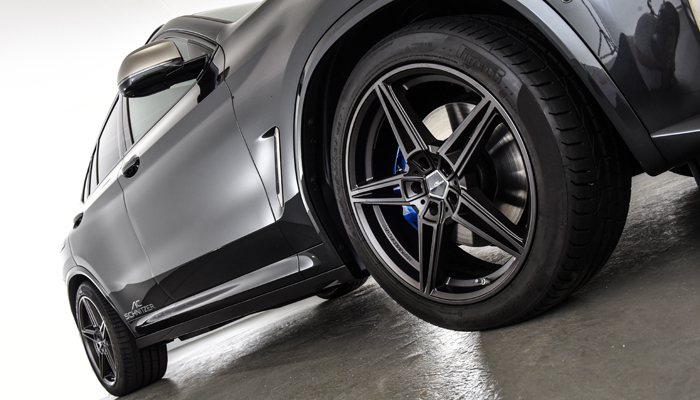 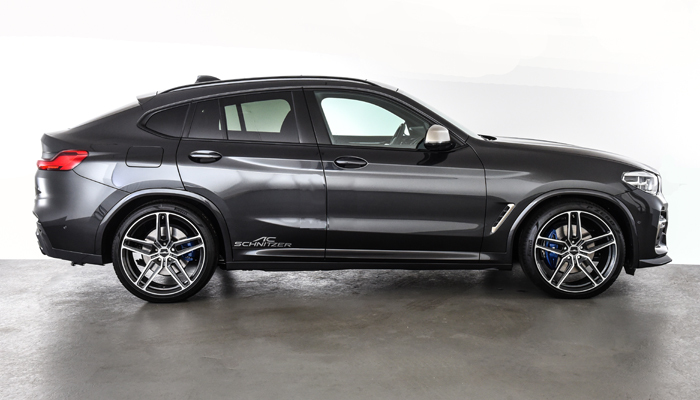 On the styling front, AC Schnitzer BMW X4 G02 is treated to subtle enhancements. 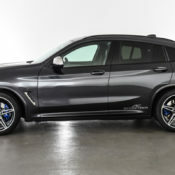 You need to be a high-caliber car guy to notice the new parts, but when you do you will acknowledge that they go a long way in making the X4 look cooler. 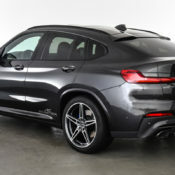 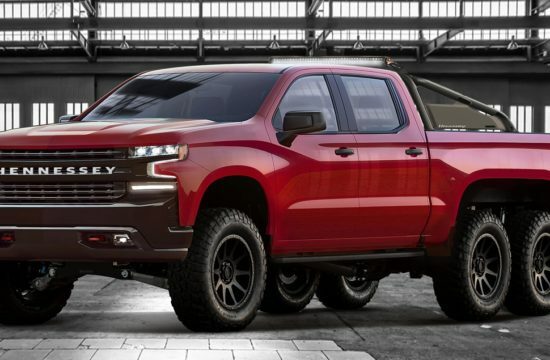 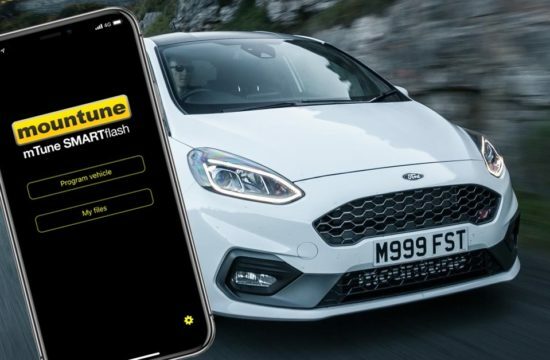 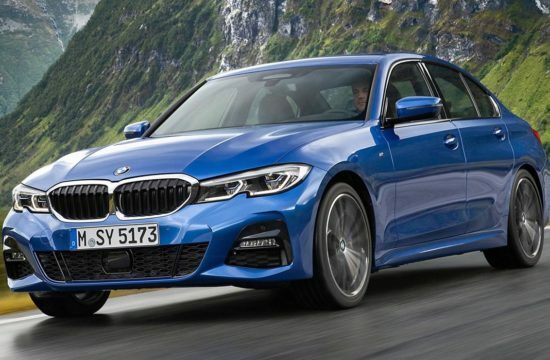 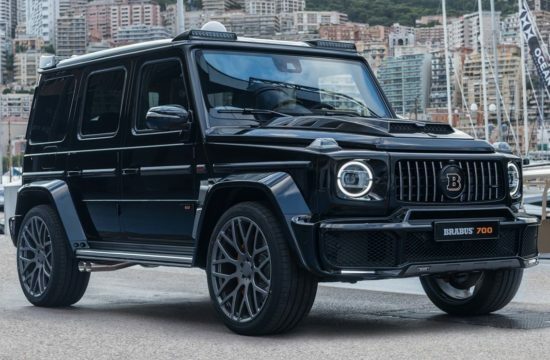 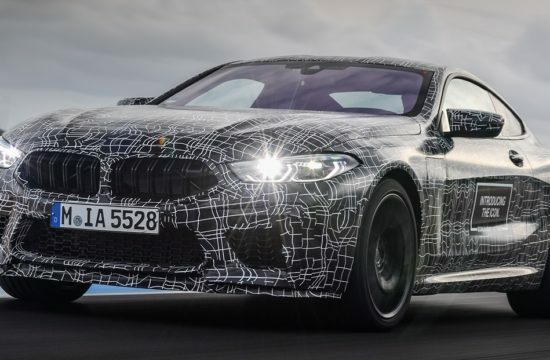 The parts include a two-part front spoiler lip that sits beneath the bumper and give it a sporty look, and a rear fascia insert with accompanying tailpipes connected to downpipes and sport catalysts (M40i only). 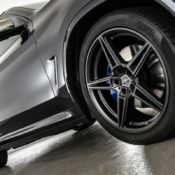 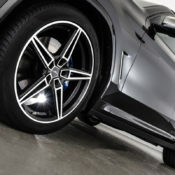 The aero parts are complemented with a set of signature wheels from the tuner and suspension adjustments. 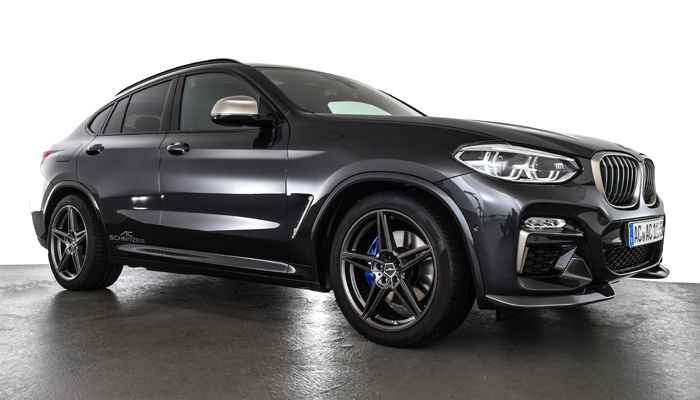 AC Schnitzer BMW X4 can be fitted with AC1 light alloy wheels in anthracite or bi-color finish, available in 19 and 20 inch size. 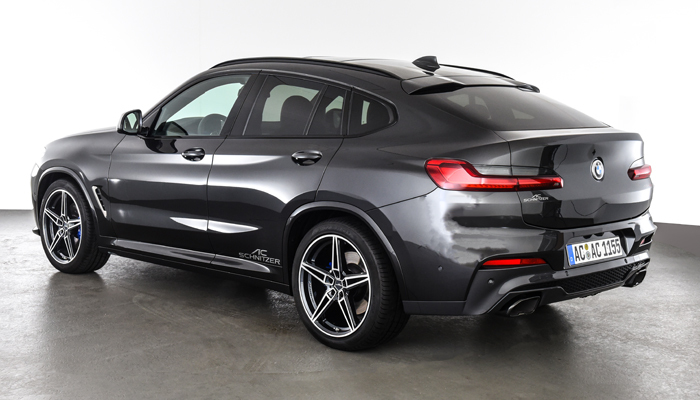 The spring set is identical to what was available for the previous X4, and is good for a reduction in ride height up to 25 millimeter. 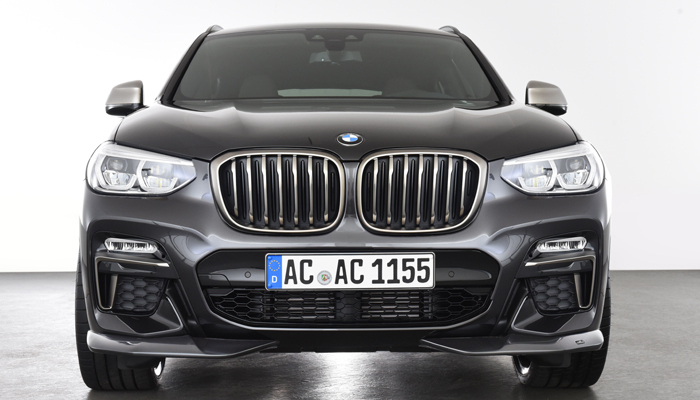 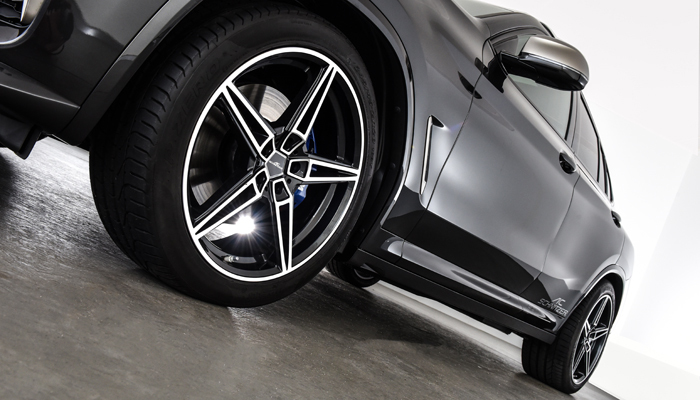 Together the wheel and suspension set give the X4 a firmer, but sportier ride. 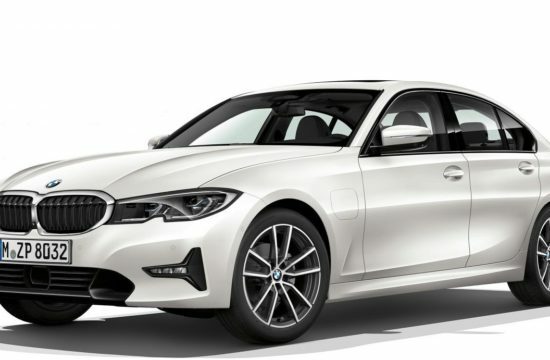 As always, there are a number of aluminum accessories for the interior, including i-drive system touch controller, sport pedals, and unique key holders. 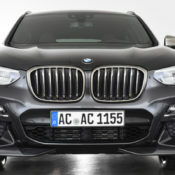 More elaborate treatments for the X4 G02 by AC Schnitzer are in the works and will be announced soon.